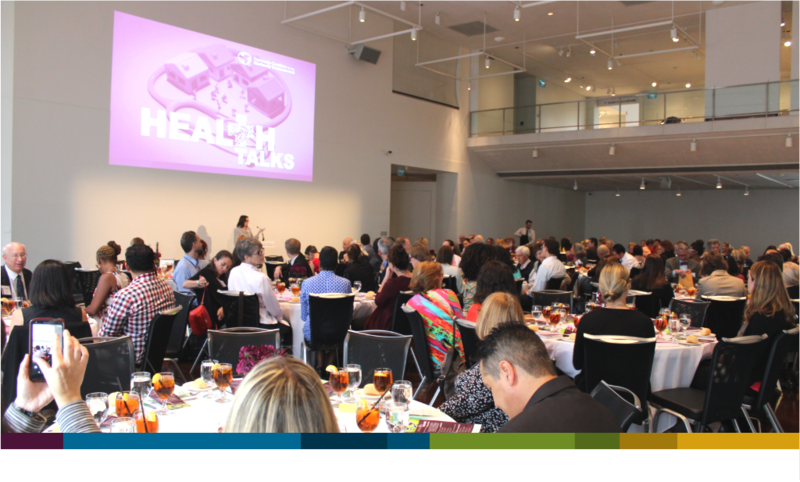 Every September, we hold our annual luncheon, which is an opportunity to learn about important health and health care issues and connect with leaders from around the state. Each year we feature a national expert, honor community champions, and provide an opportunity to make a donation, if you’d like to support our work. DeRay Mckesson is a civil rights activist focused primarily on issues of innovation, equity, and justice. DeRay has advocated for issues related to children, youth, and families since he was a teen. As a leading voice in the Black Lives Matter Movement and co-founder of JoinCampaignZero.org, MappingPoliceViolence.org, and OurStates.org, DeRay has worked to connect individuals with knowledge and tools, and provide citizens and policymakers with commonsense policies to ensure equity. He is also the host of critically acclaimed Pod Save the People, a weekly podcast creating space for conversation about the most important issues of the week. DeRay was named one of the World's Greatest Leaders by Fortune Magazine in 2015 and as one of the 30 Most Important People On The Internet by Time Magazine in 2016. Every year we give out four awards to leaders who are champions for health and health equity in Colorado. If you know someone worthy of recognition, nominate them today! Sponsors help us make the luncheon possible and support our programs and projects. We have several sponsorship levels (PDF) that include a variety of marketing and registration benefits.